Editor’s Note: In our new series ‘Breaking Down’ our Lacrosse All Stars contributors will be giving us insight and analysis into their assigned NLL teams. 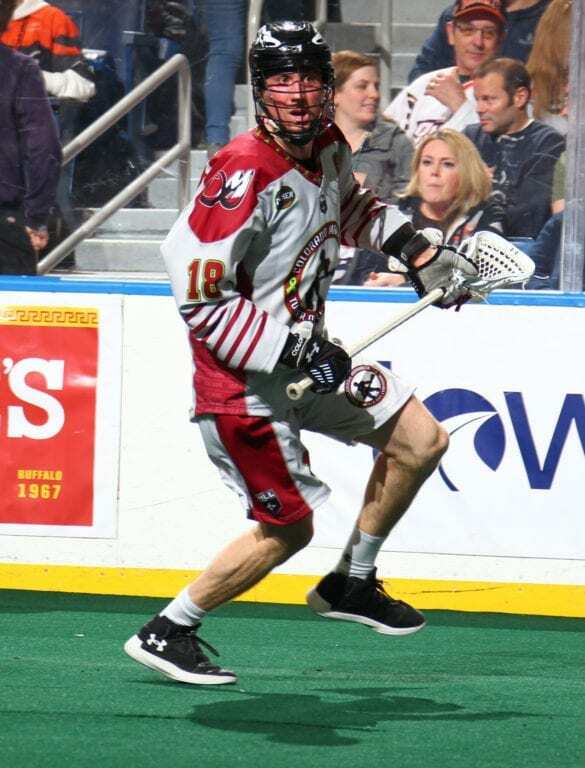 Today’s article features Ira Huff writing for the Colorado Mammoth. Sending eight-year veteran Stephen Keogh back to Rochester (the Mammoth acquired him from the Hawks in February of 2017) is a solid move for both parties, considering that’s not only where Keogh started his career, but had his best years offensively as well. His biggest season came in 2014 when he put up 33 goals and 71 points (both career highs) in 16 games. And he didn’t fare too bad in a Colorado jersey either, amassing 47 goals over parts of three seasons. The thirty-one-year-old righty isn’t hanging up the jersey anytime soon, and I think Colorado got a fair price for him (a second-round pick in 2019 and a 3rd in 2021). They bid adieu to a highly respected veteran, but they continue to focus on the future (which seems to be a pattern lately). 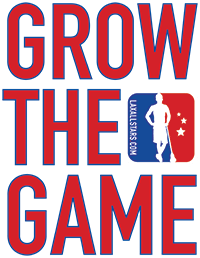 READ MORE: Check out this week’s Winners and Losers by Steve Wizniuk as he brings you the greatest (and not-so-great) moments from Week 8 of the National Lacrosse League season. A slow start to this season (6 points in 4 games) and the addition of young, right side talent to the roster (more on that in a bit) meant that Keogh was becoming the odd-man out. He never really looked comfortable on the floor up to this point, and part of that may be due to the implementation of a new offensive system by offensive coordinator Shawn Williams. It seemed like this past weekend’s matchup against Buffalo was his last chance to solidify his spot on the squad, but he only managed to produce one goal on eleven shots. He was brought in to score goals, but so far in this campaign he hasn’t been having that much success. Hopefully moving back to Rochester and his familiarity with the Knighthawks style of play will be the spark he needs to find the back of the net again. Now, you don’t ship a guy like Keogh without having a plan already in place, and the emergence of right siders Ryan Lee and rookie Kyle Killen means the Mammoth shouldn’t worry about their plans backfiring anytime soon. Killen had a hat trick against the Bandits this weekend, which came against future Hall-of-Famer Matt Vinc. That is no easy feat. And, although the Mammoth lost 15-12, the fact that Killen is making plays and putting the ball away is an indicator of great things to come. In three games this season, Killen has amassed 6 goals and 10 points, and simply put, he shoots the ball incredibly well. His best goal of the night was his third, coming at the 29 second mark of the third quarter. He beat his defender from up top and crashed the net, and before shooting, feigned like he was sending the ball far-side, but threw a twister past Vinc, fooling the veteran. It was a bold move and an even better goal, and Killen is fitting into Williams’s offense nicely. It goes without saying that Ryan Lee is also fitting in nicely, and although his production isn’t over the top (8 goals and 16 points in 6 games so far), he’s making the most of his time on the floor and has already surpassed his point total from last season. Lee had two goals and three helpers in the loss, and he’s been steady all year. Consistency is what the Mammoth need most and Lee had been providing that. He’s stepping up and making a name for himself, and his hard work is paying off. His best moment came in the second, when he cut hard to the net from the right side and snagged an East-West feed from Ryan Benesch while diving towards the crease, burying the ball far-side on Vinc. He’s been known to show some flair while playing, and that’s the kind of thing that could put the Mammoth back in the win column. Not only are these two producing, they’re also producing the right way at the right time. Games in this league are all about momentum, and all five of their combined goals were scored at key times in the game. Killen brought the game within one, then tied it in the sceond quarter, and got the scoring going early in the third quarter to help the Mammoth stop a Bandits run that began in the first half. Lee’s second quarter highlight goal cut the Bandits lead down to two, and he scored shorthanded in the fourth quarter to pull the Mammoth with four and put them in double-digit territory. If the Mammoth want to get out of the basement, both in the standings and on the score sheet (they’re last overall in GF with 64), they’re going to want to feature these two prominently moving forward, which I’m sure they will. Lastly, let’s talk about that Mammoth power play. Colorado went 3-for-3 against a formidable Bandits penalty kill (one that still ranks second in the league at 62.16% after the weekend), and that wasn’t just by chance. They moved the ball incredibly well, and if they had been afforded more PP opportunities (Buffalo was rather well-disciplined), they might have made it a closer game than it was. All three goals featured three lefties, and Benesch, Killen, Lee, Chris Wardle and Eli McLaughlin (who acted as the quarterback) were their go-to guys. Their last two power play goals were products of the defense not being set, or out of position, but their first power play goal should be fully credited to the Mammoth and their ability to draw the defense out. While McLaughlin was calling the shots from up top, Wardle was low and Benesch high on the leftie side, and Killen and Lee shared duties on the righty side. Wardle snuck behind the net, which caused the defense to cheat towards the crease. The righty side was doing most of the work, moving the ball and cutting through lanes. Once the ball moved below the net, the defense’s attention stayed there, so by the time the ball got back up top, there was an open look for Lee. But, he sent the ball wide. The rebound found its way into the stick of Wardle, who kicked it up to McLaughlin at the point. The defense was still too far in, and by the time McLaughlin wound up, the defender trying to close the gap and block the shot actually created the perfect screen for McLaughlin to shoot around. McLaughlin’s release was high but it beat Vinc low on the glove-side and got the Mammoth on the board at the 1:02 mark of the second quarter (up to that point it was 4-0 Buffalo). Not only was the ball movement crisp, the off-ball movement was executed perfectly as well, and the play made for some textbook film worth studying, whether you’re a player or just a student of the game. But, the Mammoth will need to keep this pace up to be successful. Their power play efficiency to date isn’t spectacular (11 for 25, 44% and 7th in the league) but it seems like they’ve found a winning formula. When the power play is good, games are usually tight. They went 2-for-2 against Toronto in their 11-10 loss earlier this season. But when it’s off, they struggle (0-for-3 against Calgary in their first meeting, an 11-8 loss). I think that the power play is their best bet to start winning (or stealing some games), and we’ll get a chance to see if my theory is right this coming weekend. The Mammoth travel to Philadelphia to take on the Wings this Saturday, February 9th.